CAN adapters allow to connect a PC to CAN networks in industrial automation or automotive monitoring applications. The access is given by USB 2.0, TCP/IP or PCI bus. 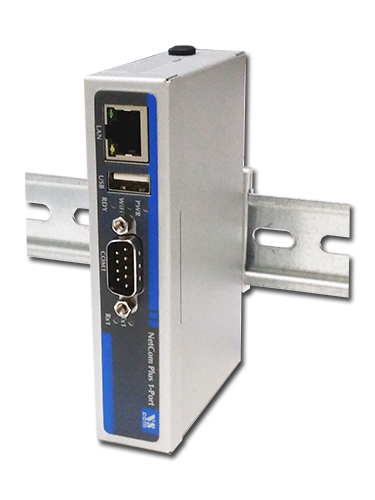 Ethernet/WLAN in NetCAN Plus enables remote control of CAN bus via local networks. Secure Remote Access via Internet is provided by the option to use the system of viaVPN. This installs quickly, and is very easy to use. These CAN bus adapters may be controlled from everywhere. The network protocol used is TCP/IP, so these adapters may communicate via Ethernet/WLAN, Intranet or Internet. They also provide the option for bridging, i.e. each device can connect to another NET-CAN adapter. This way the network is tunneled, and two separated CAN bus lines get virtually connected. 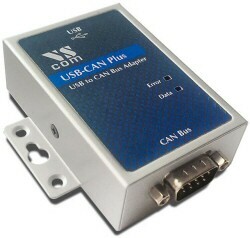 USB-CAN Plus adapter is a small device to easy connect a CAN Bus network to a PC over an USB 2.0 or USB 1.1 port. The device looks like a virtual COM port, which reliably transfers data using an ASCII protocol to/from the CAN Bus at speeds up to 1MBit/sec. A DLL library, which uses the CAN frames as the native data structure, easy interfaces the application software to CAN Bus network.